Both at the state and federal level, elected officials are crafting proposals and taking positions on tax policy. While tax policy can be used for a wide range of purposes, in our view one of its most important functions is addressing economic inequality. Some elected officials, but not all, share this value. But often it's difficult to see through the rhetoric and evaluate an official's position – especially on topics as complex as taxes. That's why we created Action Tools for evaluating elected officials on taxes. They contain short descriptions and definitions of key progressive principles and sample questions that you can ask as you research elected officials' proposals and positions. The Senate bill provides $40 billion less to cash-strapped states to bolster their spending on education, including help to avoid classroom cuts, and $16 billion less to renovate and rebuild schools. It also cuts food stamps and aid to the unemployed. See Paul Krugman's take in the NY Times. See Dean Baker's critique, "Fewer Jobs: Stimulus on the Cheap." Extends the alternative minimum tax "patch" through 2009 at a cost of $70 billion; this mostly benefits upper-income people. A $11.5 billion measure to encourage the purchase of autos by allowing buyers to write-off local sales taxes and interest on loans. A $35.5 billion measure would create a new tax credit equal to 10% of a primary-home purchase, up to $15,000, which would primarily benefit wealthier people. In the stimulus plan before the Senate, much of the billions in spending is divided among these areas: $142 billion for education, $111 billion for health care, $90 billion for infrastructure, $72 billion for aid and benefits, $54 billion for energy, $16 billion for science and technology and $13 billion for housing. The tax cuts amount to about $350 billion. The White House released a state by state chart of how many jobs the economic recovery plan will create in each state. The official cost estimates of the Congressional Budget Office show that 85 percent of the effects of the House bill, and 94 percent of the effects of the Senate bill, would occur during the 2009 - 2011 period - when the CBO says the nation's economic output will be far below its potential and fiscal stimulus thus would be beneficial. Senate Republicans want less spending and more tax cuts in the bill. 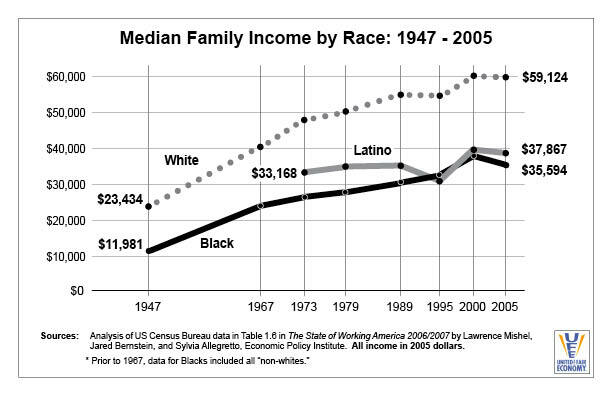 A Center for Economic and Policy Research report states "...as tax cuts are substituted for government spending, there will be fewer jobs created by the stimulus and that African Americans and Hispanics will feel this effect disproportionately. Insofar as corporate tax cuts are substituted for spending, the impact of a given amount of stimulus will be only one-fifth as great. 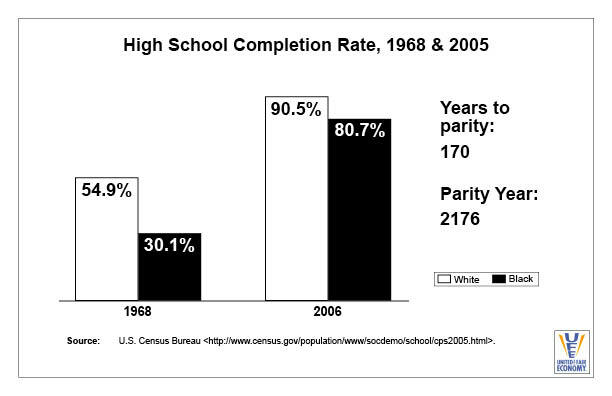 This sort of substitution could lead to considerably higher rates of unemployment for African Americans and Hispanics. Senators who vote against the stimulus are opposing $900-1000 in tax cuts for families with children”¨in most states. A Citizens for Tax Justice report states about half of the tax cut portion of the bill consists of a refundable "Making Work Pay Credit" worth up to $500 for most working people or $1,000 for married couple- basically credits on payroll taxes that people pay. The tax cuts in the stimulus bill are much more distributed towards lower and middle income people than the Bush tax cuts were. The House Republicans only want to give this tax cut to those who pay income taxes, which would leave out 35 percent of Americans who need it the most and would spend it quickly. Sen. Demint's plan swipes tax benefits from families, teachers and college students. It costs $3.1 trillion (three times as much as Obama's), would give a $320,000 tax cut to the average CEO and nothing to a worker making the minimum wage, and would take away deductions from 45 million families who pay state and local taxes, 10 million families with steep medical expenses, 7.5 million families paying off college loans, and 3.4 million teachers who buy supplies for their students. It would gut the estate tax. Don't extend the alternative minimum tax "patch" through 2009; it makes no sense as economic stimulus. It costs $70 Billion for one year. Don't give Verizon $1.6 billion in tax cuts without generating a single new job. Money originally intended to encourage companies to bring high speed internet to underserved low-income and rural communities has turned into a billion dollar giveaway to big telecom. UFE staffer Mike Lapham writes: "During any crisis, it is common to focus on the surface troubles and thereby miss opportunities for addressing underlying problems. Already, as the new administration tackles the current economic crisis, it seems diligent about plugging today's holes, to the exclusion of preventing more holes in the future. 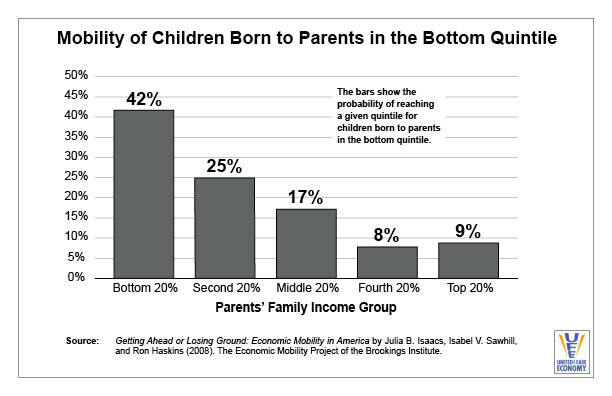 "For example, one gaping hole has to do with the myth that a rising economic tide lifts all boats. 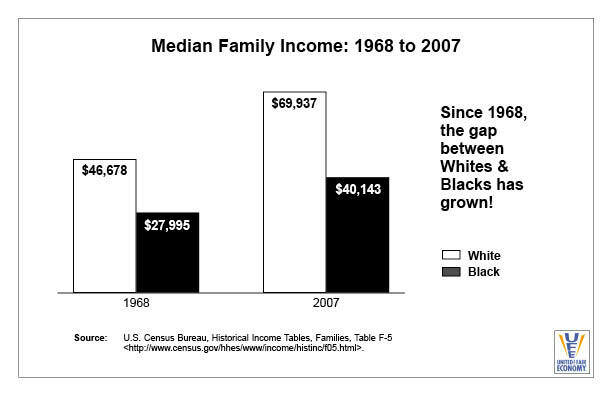 This has been completely disproven by the extreme growth of economic inequality during the last 30 years. Instead, we learned that some boats can be lifted spectacularly high, while others sink deeper in the mud. So, even as we scramble to keep the whole economic ocean from draining, it's vital that we pay attention to all the boats - big and small. 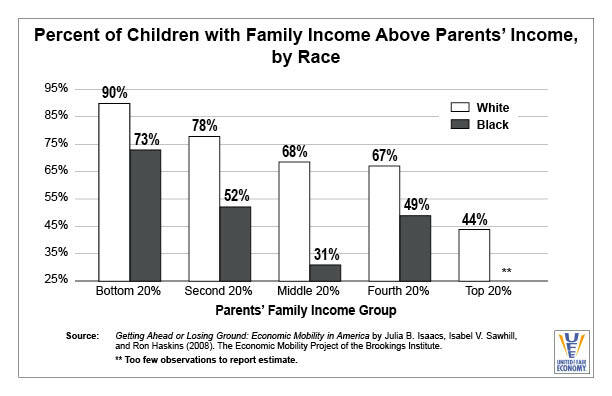 The obvious implication is that if we want to build an economy that's inclusive, we must pay special attention to the worst off. "But while we watch the first black president take office, we risk falling into another trap: Thinking that race is finally irrelevant. 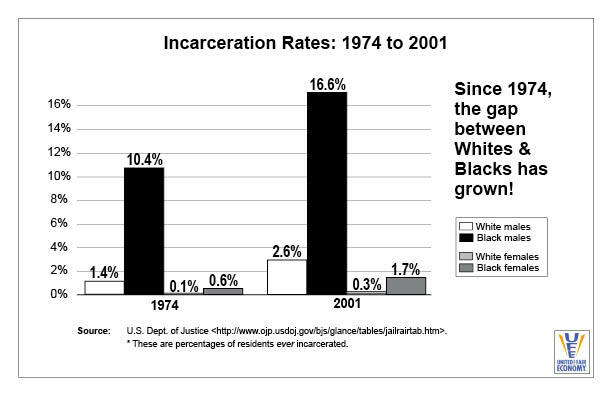 The truth is that, in an economic sense, race continues to be a major barrier." Read the full article in the Asheville Citizen-Times. The nation's unemployment rate soared to 7.2 percent last month as the economy loss 524,000 jobs. The current recession took jobs from all major population groups. Whites saw their jobless rate jump from 6.2 percent in November to 6.6 percent in December. 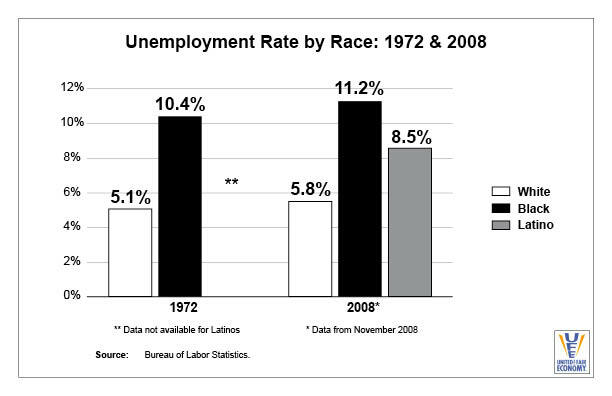 Black unemployment rose from 11.3 percent to 11.9 percent while joblessness for Hispanics increased from 8.6 percent to 9.2 percent. Unemployment for Asians stood at a seasonally unadjusted 5.1 percent. 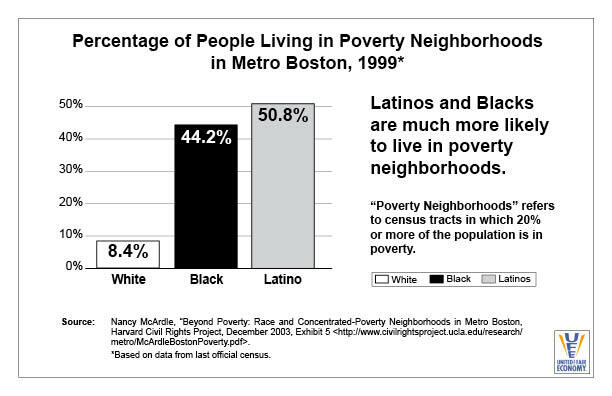 Referring to the number of Blacks losing their homes as a result of the mortgage crisis, a Boston-based non profit organization United for a Fair Economy issued a report which concluded, "This represents the greatest loss of wealth for people of color in modern U.S. history." 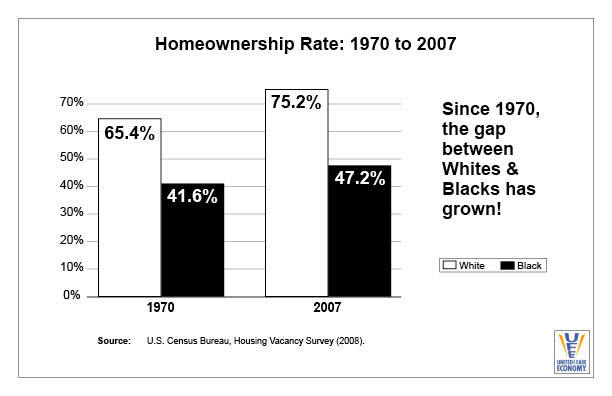 The report was titled "Foreclosed State of the Dream 2008. Click here to read the Washington Informer article. Those on both sides of the civil rights divide like to argue about what the Rev. Martin Luther King Jr. would say if he were still around. The essence of his message can better be found in the pages of "State of the Dream 2009: The Silent Depression," the report released today by United for a Fair Economy. Click here to read the Buffalo News story. 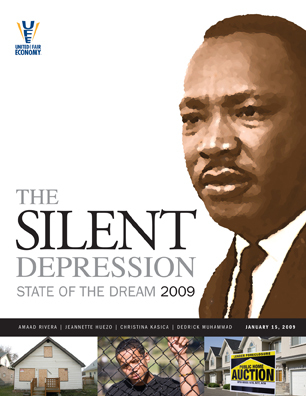 In this 2009 report for Martin Luther King, Jr. Day, we found that people of color are experiencing a silent economic depression. 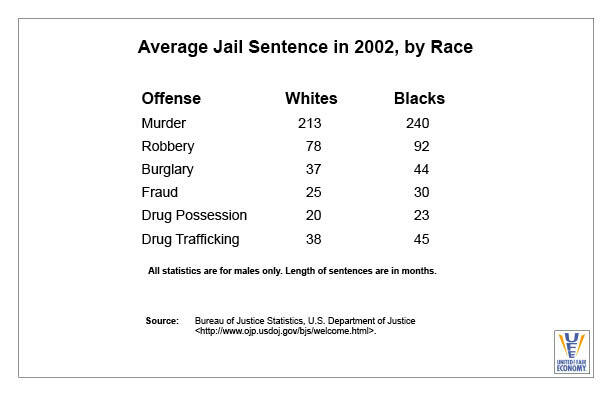 It’s silent because it’s going unnoticed, unacknowledged and unaddressed – and yet the evidence is striking. 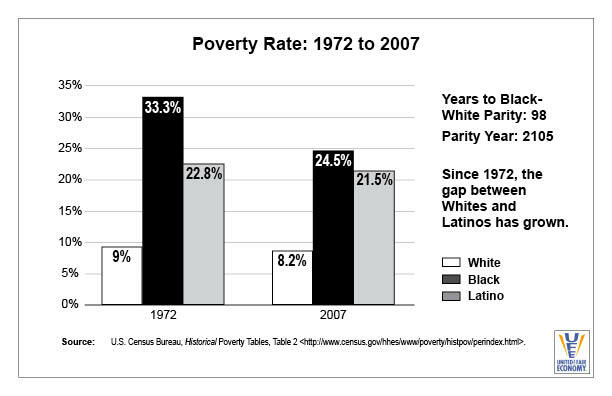 While the general population has been in recession for one year, people of color have been in recession for five years. By definition, a long-term recession is a depression. 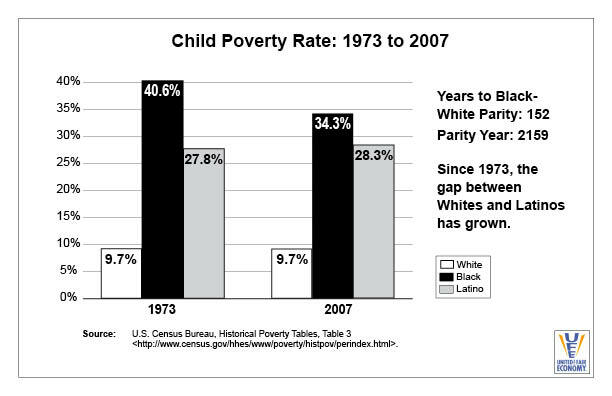 We detail additional evidence that shows the current racial economic inequity, including poverty rates, wealth and assets and economic mobility. 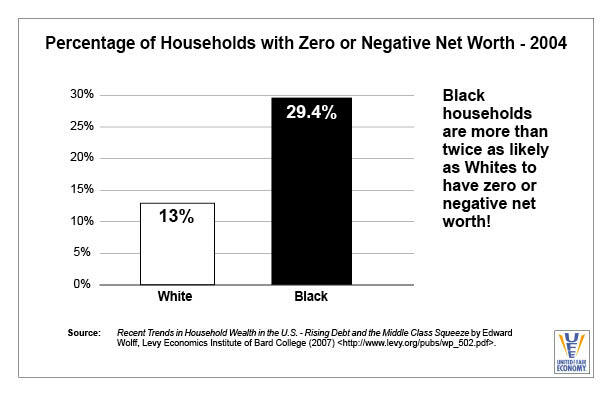 While racial barriers did not prevent an African-American from becoming President, they continue to impede many people of color from achieving the same economic success as their white counterparts. Dedrick Muhummad, co-author of The Silent Depression, discusses the report on Democracy Now!